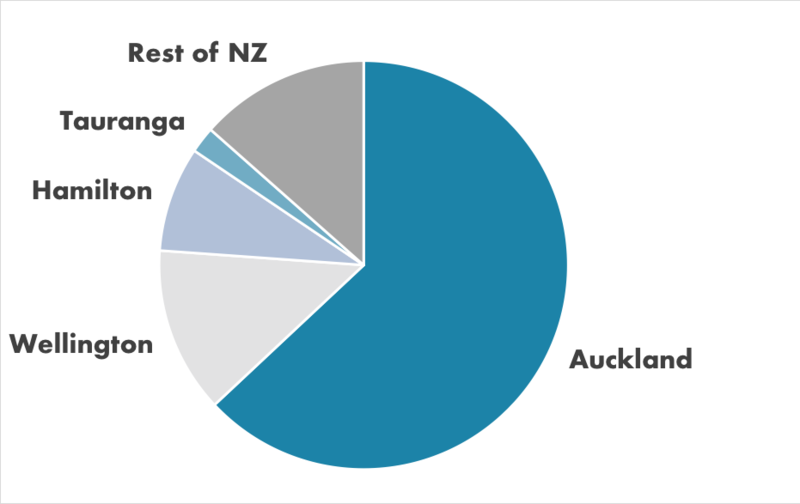 This week, an alarming study was released describing just how close we are to NZ housing hitting the fan…details and more below. Before we get into it, a few recent titbits to impress your friends and family at your next dinner party. Satellite internet is here, thanks to Elon Musk. Iridium Certus is internet that’s beamed down from a US$3 billion constellation of over 70 satellites…all put there by Musk’s SpaceX. In NZ, we’ll get to taste the service through local retailer Pivotel. While coverage will be mind-blowing, connection speeds will not be…dialling in at dial-up speeds. In China, a rogue scientist named He Jiankui has tested gene-editing technology on humans. He applied what’s known as CRISPR to alter the genes in the embryos of two twin girls. The alteration, according to Jiankui, will protect the girls from getting HIV later in life. Basically, the entire international scientific community has condemned the experiment…but will no doubt eagerly pay close attention once the girls are born. Meanwhile, in Waihi, New Talisman Gold Mines has managed to revive a century-old gold mine. The company believes the mine could produce over 51,000 ounces of the yellow metal, currently worth over $61 million. But with locals and anti-mining groups unhappy with the new venture, the company will have opposition as workers begin descending into the mines. Mark Dye, formerly of NewsTalk ZB and TVNZ, has co-founded one of the latest medicinal cannabis firms to target the NZ market ahead of legalisation. NUBU Pharmaceuticals plans to initially import some of Europe’s highest-quality CBD products into NZ…and eventually, the company plans to export NZ-produced cannabis abroad. NUBU is currently raising $10 million through Deloitte. Christchurch-based Cryptopia recently became the victim of one of the most notorious digital heists of all time. As of the latest count, the cryptocurrency exchange is missing over $24 million in various crypto assets, held by 1.4 million individuals and investors around the world. What’s even wilder is that the heist took place over five days, while Cryptopia employees watched helplessly as the funds flowed out. And speaking of heists, NZ property owners may soon be able to empathise with Crytopia employees. The 15th Annual Demographia International Housing Affordability Survey: 2019 was released just a few days ago…and the findings of the global data-crunchers was astounding. They found that, in the whole world, good ol’ Aotearoa was the second-most unaffordable housing market in the world, just behind Hong Kong. The way they measured it is by taking median house price divided by median annual gross pre-tax household income, what they call the ‘Median Multiple’. And when you take house price by income, you get a decent idea of how ‘affordable’ the housing market is. Another way of looking at it is by saying that the result is the number of years of income it would take you to buy a house. For example, if the median income is $100,000 and the median house price is $500,000, the Median Multiple would be 5…and that’s how many years you’d need to work to buy an average house outright (roughly speaking). Now, Hong Kong is way out there. Using the metric from the survey, New Zealand has a Median Multiple of 9.0…Hong Kong, on the other hand, is at 20.9. In other words, you could work for TWO DECADES in Hong Kong, never spending a penny or paying a dime of tax, and you’d still not have enough for an average house. Insanity! But you can’t let NZ off the hook at 9.0. A score of 9 puts the housing market here as ‘severely unaffordable’. We know that already. What’s scary is how that number has ballooned in just a couple years. In the ‘90s, the ratio was below 3.0. In 2004, the Median Multiple was 5.9. Still ‘severely unaffordable’, but not nearly as yucky as 9.0 today. When you break it down by city, Auckland rolls in as the seventh most unaffordable city in the world, ahead of expensive hubs like London, San Francisco, New York, and Toronto. And while Christchurch, Wellington, or Tauranga weren’t considered due to their smaller size, they’d all fall in the top 20 worst housing markets in the world based on their scores. If you want, feel free to take a look at the original report here. The value of this kind of quantitative research is to help you and me understand just how far NZ would have to fall to ‘normalise’. Let’s say that to ‘normalise’, New Zealand would have to drop down to the affordability of a healthier housing market like the US. It’s not exactly ‘affordable’, but it’s just a bit over at ‘moderately unaffordable’. Sound reasonable? The score of the US was 3.9. That’s 57% below New Zealand’s current score. Let’s transpose that on to house prices. Right now, the average Auckland house price is $920,234, according to Barfoot & Thompson’s January stats. With a 57% haircut, that becomes $524,533. And that’s just if NZ receded to the ‘moderately unaffordable’ range. I won’t even bother running the numbers for what it would take to become ‘affordable’. The point is, NZ’s housing market is way off course. And while optimistic people might claim that NZ has some sort of magical market where house prices can only go up, realists like me tend to think NZ has simply postponed the inevitable…leading to a more dramatic, nastier collapse than what we saw in Ireland or the US back in 2007. And even if you’re half-in, half-out on the idea, forget about 57%. Think about the ruckus that a 40%, 30%, or even 20% tumble could cause. People wouldn’t just lose their homes. They’d lose their shirt (and probably their sh*t too). It would be messy. Lots of folks who were in retirement, or about to, would suddenly be looking for jobs to pay the bills. And at our current super-low unemployment, there just wouldn’t be enough jobs. Think about all the property-related businesses that would fold — there definitely wouldn’t be enough jobs. High unemployment leads to lower wages…and lower wages means houses become unaffordable again. It’s a dangerous downward spiral…and it will trigger any day now. ‘Five years ago, New Zealand banks were so keen to lend they were giving away iPads and flat-screen TVs to attract new mortgage customers. Today, the gifts are gone. Are You Better Off Now Than You Were 50 Years Ago? Its a sad state and as a skilled migrant with a successful profession, it no longer looks a place to settle. Me any my wife see no future here and have now changed course to move to Australia. At the end of the day, the reason we all get skilled and work hard is to have a good life and not a struggling life. Citizenship this year end and leaving next year. So many skilled migrants in my community are doing the same. NZ needs to correct itself if it needs a future generation. I might be wrong, but you may have the maths wrong! A 57% haircut off $920,234 works out at 43% of that figure, which is $395,700 making your headline – Homeowners Could Be Saying Adios to $525k ($524,534).